9:14 AM– Larry Bales is now in the room. 9:15 AM– He talked about his military background serving during the Vietnam War, working in the office of Orange County Assessor, and working for the FDIC. He is clearly a very intelligent man who has a very strong background in the field of finance. 9:18 AM– He talked about his volunteerism in helping veterans to receive all of their benefits. Also, he mentioned that during his tenure in the office of the Orange County Assessor he ended up helping the Orange County Grand Jury corruption that he discovered while working in the office of OC Assessor. 9:20 AM– He is trying to link the corruption that he uncovered to the passage of Prop 13 linking the scandal he uncovered in the office of the Orange County Assessor (property assessments) to the California outcry on property taxes. 9:22 AM– Supervisor Nguyen asked about his experience and education. Bayles responded that he was involved with the internal review when he worked in Orange County. Supervisor Nguyen also asked if he plans to run for the position in 2 years. Bayles stated that he would run if the office is not consolidated. 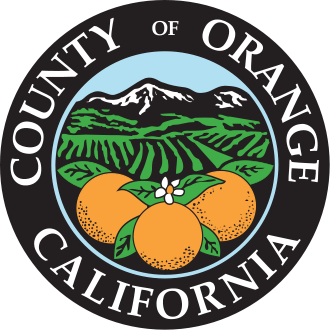 It has been discussed in the past that the Orange County Supervisors would like to explore the potential consolidation of some offices. 9:23 AM– Supervisor Nelson asked if Bayles plans to seek higher office in the future. Bayles answered that he is not interested in running for any other office and has given it no thought. Supervisor Nelson also asked about the technology aspect of the job. Bayles responded by saying that he has experience needed to improve technology in the office. 9:26 AM– Supervisor Nelson followed up with a question asking for more details. Bayles simply answered that he has properties that are over assessed. He appears to have really danced around that question without answering it which leads me to believe that something very bad took place in the Assessors office. Supervisor Spitzer followed up with a question asking about his experience managing people. Bayles answered that he has lots of experience through his previous jobs. although the FDIC job was what he focused on. He answered that he is currently receiving a public pension. He answered that he has a Bachelor’s degree. He did point out that he has run for office before, “A few times” but could not recall the exact number of times. He did not give a direct answer but believes that the Fullerton office is not worth the money. 9:33 AM– Supervisor Bates has asked about the financial status of the office of Orange County Clerk-Recorder. Bayles answered that the archives building that was purchased previous to him applying for the vacancy was expensive. Bayles plans to look into the requirements of archives and said he would consider all options to save money. 9:35 AM– Bayles stated, “Service to the people should be the number one priority” for the office of Orange County Clerk-Recorder when asked by Supervisor Nguyen. On a follow-up question he answered that he would look into consolidating certain technologies in order to save money. 9:37 AM– Supervisor Spitzer asked about his position on gay marriage since he might be issuing marriage licenses if appointed to the position. Bayles said that he has no problem with issuing licenses based if the Supreme Court overturns Proposition 8. 9:39 AM– Supervisor Nelson asked about what the first 100 days will be like if he is selected. Bayles answered that a lot of internal reviews will take place and his goals would be to immediately make the office more people/taxpayer oriented. 9:40 AM– In closing he stated that he feels that he is the best applicant based on his experience.